Hunter has been competing in bodybuilding competitions since the age of 15. He went on to win bodybuilding competitions Teenage Mr York and Teenage Mr England. At 19 years old he won Junior North East Britain and came second in Mr Britain. Hunter's ambition was to become Mr Universe but he joined Gladiators to become the youngest UK Gladiator at 19 years old. Hunter is one of the most popular Gladiators of all time. He is totally committed to his Gladiators role and always puts 110% into each event, making him one of the best all-round Gladiators, he is the Gladiator contenders fear to face! He is exceptional on all of the events, especially The Wall, which he has only been beaten on once, and Duel. 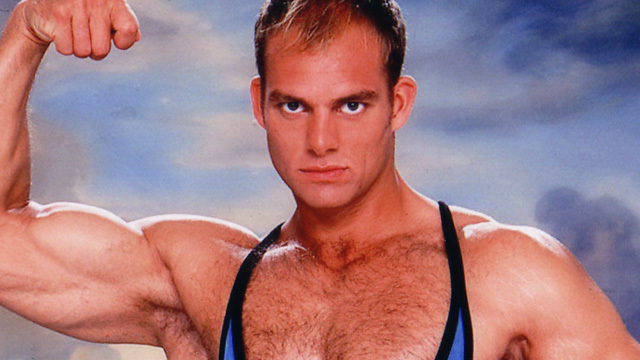 Hunter also won The Ultimate Gladiator title in The Battle Of The Giants show against his fellow male Gladiators in 1999. A true Gladiator at heart! Hunter was part of the special UK international team and headed off to compete against South Africa in the Springbok Challenge 2000. He is also a star outside of the Gladiatorial arena. He has appeared in quite a few television dramas, including Emmerdale, The Upperhand and Adam's Family Tree. Hunter presented his own television fitness show called 'Peak Performance' which was broadcast on ITV2. He toured a variety of plays over 8 years, including working for Sir Peter Hall for 2 years in the UK and US (2003�2004) in Shakespeare's As You Like It. Hunter has also worked extensively with the Hull Truck Company over a five-year period with John Godber, most recently in Godber's Up 'n' Under in 2010. Nowadays he runs Chelsea Fitness, a personal training and fitness consultancy in London and Marbella, along with fellow Gladiator Ace (Warren Furman) and has also developed an app for personal trainers called PTin1.